Obama is a black mascot of Wall Street oligarchs and a black puppet of corporate plutocrats. More and more working people are beaten down. They are world-weary. They are into self-medication. They are turning on each other. They are scapegoating the most vulnerable rather than confronting the most powerful. It is a profoundly human response to panic and catastrophe. 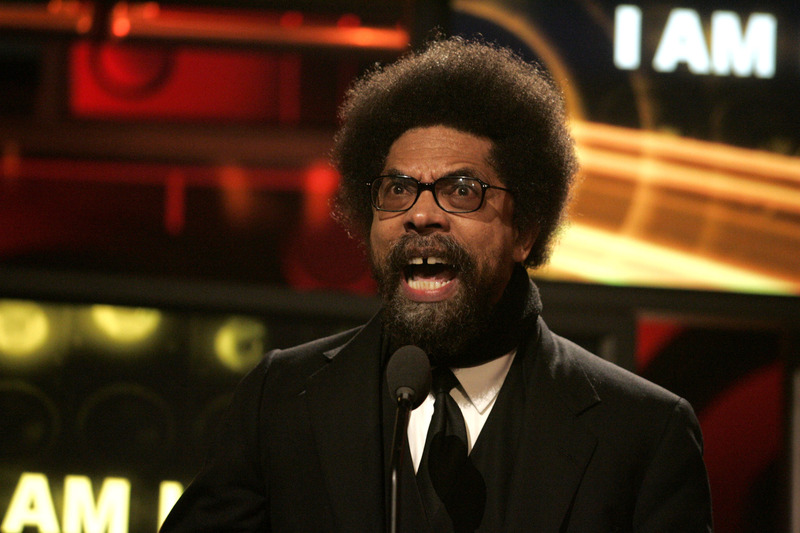 Cornel West is striking nerves. Some blacks see him as disloyal to Obama — but it’s Obama who hands cash to banks, corporations and defence contractors, and cuts money for welfare recipients and the disabled. The establishment sees him as a problem. But Cornel West is right: it’s time we stopped turning on each other, scapegoating the vulnerable and self-medicating. It’s time we stopped listening to big media, to big government, and started listening to the poor, listening to ourselves, listening to our communities. We hear the diatribes of large corporations and rich people all day and every day. They have a right to their opinion, but not to drown out everyone else. I have my own ideas, but I want to hear what other people bring to the table. I want to see the democratic process in action. But democracy requires an awake and informed citizenry, and the fastest way to achieve something like that is for people to open their eyes and open their ears. It’s time people all around the world had a frank conversation with each other about everything. How society is run. How power is concentrated. About the rights we all have. About economics. About religion. About politics. About the meaning of justice. About the environment. About the future of humanity. And it’s time we all really listened. This entry was posted in Current Affairs and tagged cornell west, goldman sachs, obama, tavis smiley. Bookmark the permalink.